Anxiety, depression, suicidal thoughts, mental health and more are addressed through their music. Sign up for the GOD TV newsletter and receive a free gift! Christian friends Tyler Joseph and Josh Dun are an eclectic alternative musical duo from Columbus, Ohio. 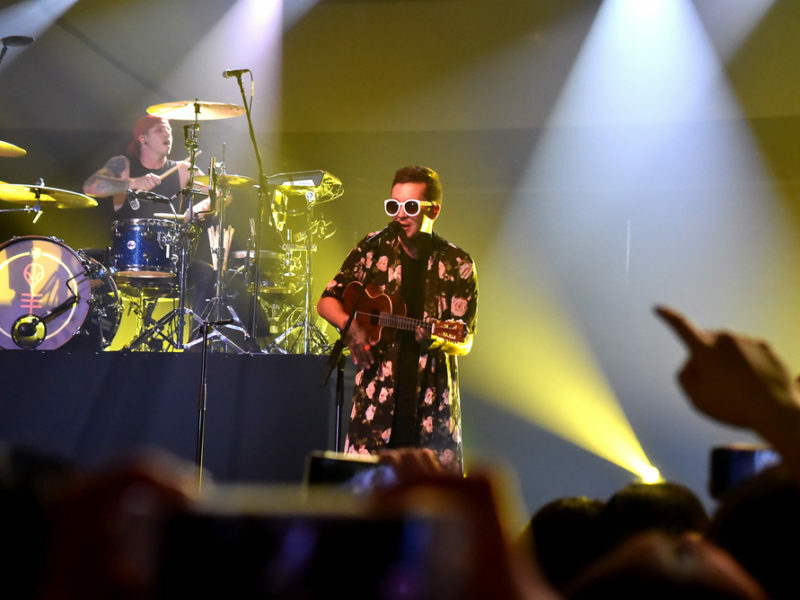 Their group, Twenty One Pilots, has gone through some changes over the years since their founding in 2009. But it has been the duo of Tyler and Josh since 2011. Their music cannot be completely categorized as they have crossed genres such as electro-pop, indie pop, hip hop, rock, electronica, rap, emo, alternative rock and more. According to Beat Media, Twenty One Pilots goal is to get people who are struggling through life thinking through the message the band shares in their lyrics giving testimonies of their personal struggles. Anxiety, depression, suicidal thoughts, mental health and more are addressed through their music. But most importantly, hope is given! A generation that is searching, seeking and needing guidance for the trials and struggles of life are receiving hope through the music of Twenty One Pilots. And they are using parables in the form of musical art to point to Jesus. He alone is the way, the truth and the life, who gives true life here and now. And for eternity. If you would like give your life to Jesus now, between you and God, watch this short video praying the prayer provided. And then start talking to God in your own words. Begin thanking Him, asking Him questions. Asking the wonderful Holy Spirit to fill you up. After praying this, you can live knowing Jesus loves you no matter what. Talk to Him everyday, reading His Bible. You can start your reading in the Gospel of Mark or John. If you don’t have a Bible, download the YouVersion Bible App. And find a great church that will help you grow in your relationship with God. Encouraging you to show God’s love through you to others. This is the first article in a series about Twenty One Pilots. Do you support GOD TV? SIGN UP FOR THE GOD TV NEWSLETTER and we'll send you a free gift!